Palawan is rugged, pristine, and spectacularly beautiful. Travel can be tougher here than some places, but that’s part of why Palawan remains so alluring. For our efforts over about a month in Palawan we were rewarded with amazing sights, people, and experiences that we’ll always remember. We loved getting aquianted with Palawan’s wonders in Puerto Princesa’s Honda Bay, touring the Underground River in Sabang, and island hopping our way around El Nido. Kayaking and exploring postcard-perfect beaches took up most of the rest of our time. Palawan has an abundance of fun activities on offer, and we could have filled two months as easily as we did one. Being an island many activities are related to the sea and we took full advantage. Ready to visit Palawan? Find a great place to stay on Agoda. Ok, looks cool… where is it? Palawan is an island in the western Philippines. While it was noted as the “top island in the world” in 2014 by Conde Nast it is still relatively undiscovered as far as tourism, compared to say Boracay in the Philippines and certainly compared to some other Southeast Asia destinations like Thailand. Here’s a map so you can get your bearings. We flew into and out of Puerto Princesa, which is midway along the east coast. We spent our time on Palawan between Puerto Princesa and El Nido in the north, never venturing further south than Puerto Princea. Palawan is not the easiest place to get to and get around, but again that’s what’s keeping it so nice. 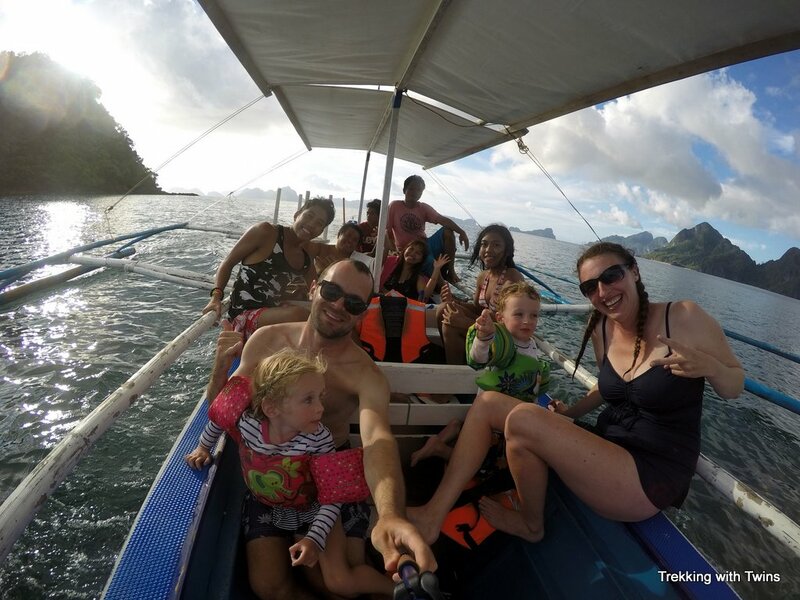 We ran through a bunch of options on how to get to Palawan, and how to get around once you get there, in our El Nido Vacation Guide for Families post. We’ve written all about our Palawan adventures, including our time in Puerto Princesa, Sabang, and El Nido here on the blog. Check out our previous posts for lots of details, stories, and of course pictures. Start planning your Palawan vacation with our posts below. Interested in other Philippines destinations? Read our posts on Boracay and Bohol, or just peruse our whole library of posts about the Philippines. Thanks guys! We miss you! Palawan is definitely next in my bucket list. I want to explore El Nido because it looks enchantingly beautiful. It’s pretty spectacular. A very special place. I just LOVE your posts! They are so inspiring and we share the same way and love of travelling the world. We just booked our flights for christmas holidays to go to the Philippines again. Not sure if we should spend 16 days in Palawan or split them up in Palawan and Boracay. What would you suggest, as you guys have been to both places? Thanks Andrea 🙂 With 16 days I’d probably stick with Palawan. It takes a while to get between places, and there’s more than enough to fill your time there. Enjoy your Christmas holiday! !